Around a year ago today, PowerQube launched their campaign for the PowerQube a very versatile power strip with built in usb plugs. I pledged and later received my PowerQube and the quality was perfect, strong durable and very useful, I could now charge my phones and leave the important outlets open for my more power hungry devices(laptop charger/lamp/etc). Last year when I received my survey they asked everyone what they would like to see in the next PowerQube I asked for something a bit smaller and lighter for travel, and here we are today with the mini. They definitely listened to their customers and produced another amazing device that will charge your mobile devices with the exact power requirements with their smart system. I love my PowerQube and now I can't wait to have the mini so I can take it with me when I travel and carry less power adapters and now only my usb cables. Take a look below and pledge through the widget above( Please leave a comment on their campaign page that you found them through us, Thank you). SP Technologies LLC was formed in November 2013, with a focus on creating smart-charging solutions geared towards the charging of personal smart devices; tablets, smart phones, e-readers, charging solutions for ANY and ALL smart device manufacturers (Samsung, Nokia, Apple, Blackberry, Android etc). Our focus is to build smart-charging solutions that will solve multiple problems that exist with charging devices today for smart phones and tablets. SP Technologies is dedicated to delivering innovative charging solutions that meet the demands of today’s technology driven world. Through the design engineering and prototyping phase, two additional prototypes were developed. The internal power-supply and PC board continued to evolve in sophistication and functional capability. 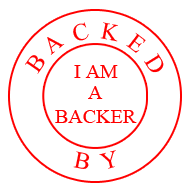 The POWERQUBE original was launched via Kickstarter in June 2013, and exceeded it's funding goal. Based on the feedback from our funders the original product has evolved to what we have brought to you today, the POWERQUBE MINI. The POWERQUBE MINI is a revolutionary smart-charging device that can fit into the palm of your hand. The POWERQUBE MINI is an evolution of the POWERQUBE original, and has been engineered to charge ANY smart device on the market today with our patent pending SP (SmartPower) Technology. The PQ MINI can charge up to 5 devices at once, via 3 (2.1 AMP) smart USB ports and 2 standard 3-prong AC outlets. The POWERQUBE MINI dimensions are 4 inches (width) X 4 inches (depth) X 1.8 inches (height). In today’s technology driven environment, consumers are using multiple portable electronic devices, often of varying brands. This prompts the need for multiple charging devices of various types, and necessitates tapping into electrical outlets in several different locations within the home or office. The POWERQUBE MINI solves this dilemma. The product is an innovative solution with novel technology, that allows for the charging of any smart device on the market today. The sleek design of the POWERQUBE MINI means you don’t have to try to hide it. It is compact enough to fit into the palm of your hand, and can be placed on your desk, nightstand, conference table, kitchen counter, and dorm room desk; anywhere you need power management and USB charging capabilities. At 4" x 4" x 1.8", the PQ MINI can easily fit into your backpack or briefcase. The PQ MINI allows you to charge any three smart devices, including 3 iPads, simultaneously, via any of the three USB ports. With 5 feet of cable and a detachable wall plug, you can easily plug in the PQ MINI behind a desk or piece of furniture, and still put the device directly on your desk, conference table, countertop or nightstand with ease. The charging technology in the PQ MINI is patent pending, and truly is revolutionary to any charging protocol that is available and on the market today. The POWERQUBE MINI SP Technology™ enables each USB port to independently negotiate, "shake hands", with each device that plugs into it; allowing for independent charging specific to the device protocol as negotiated and determined by the POWERQUBE MINI; a true smart charger for smart devices. Our patent pending SP (Smart Power) Technology™ is a game changer. The POWERQUBE MINI will not “push” current to the device once it is fully charged. The POWERQUBE MINI USB ports are 2.1 Amps @ 5 volts max each, constant (when asked for by device), and isolated. The AC outlets are 125 Volts/15 Amp. We have not identified any other device equipped with technology comparable to our SP Technology™, allowing for independent negotiation with each device specific to manufacturer charging specification; other chargers on the market today are not sophisticated enough to have this capability. SP (Smart Power) Technology™ determines the device charging requirements, and also isolates each device from others plugged into the USB ports. With the POWERQUBE MINI, if you have a faulty device on one of the USB ports (bad phone, shorted charging cord), it will not impact other devices. We have yet to find a device it does not charge, including Chinese mainland brands, and international phones; devices that will not work with most other chargers sold in the U.S. today. Our fulfillment will be completed in house, as we want to have total control of customer service and delivery of our product. POWERQUBE MINI rewards will be shipped out of our warehouse in Indianapolis, Indiana; a strategic central location for shipping within the United States. We believe in delivering innovative products that meet true unmet needs in your daily life. The POWERQUBE MINI was developed out of feedback from the Kickstarter community, and we are thrilled to introduce the revolutionary product to Kickstarter. We ask that you JOIN THE POWERQUBE REVOLUTION TODAY!